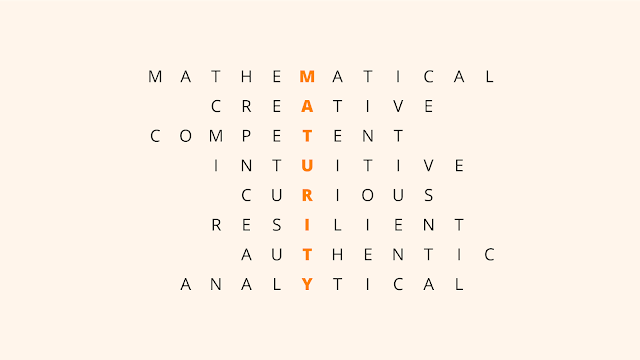 I first paid attention to the phrase ‘mathematical maturity’ some six years ago. And like so much that seems sensible in life, and certainly in education, the phrase itself, enticingly loaded with the comforting promise of familiarity, seemed to be something I was already aware of — although it was in all likelihood the first time I had heard of it, and without doubt the first time I had actually considered its meaning. It was the last — makeorbreak — discussion I was having with Ofsted in my school’s seventh inspection in seven years, after having been deemed, seven years before, to require ‘special measures’. We were in my insatiably neglected office, with papers and books and Rubik cubes and journals and blu-tac strewn across the floor, on the two frayed chairs, and on my desk, alongside the ever present Jengastic tower of behaviour reports and lost Mathlink cubes and dice and doctored playing cards, and Twix wrappers, and where only days before in the locked bottom drawer I discovered a mouse, dead, curled up on top of some GCSE statistics controlled assessments like a question mark. Students' names were scrawled across the cheap glassboards on the wall, graphs and data and Venn diagrams — lovingly posterized and laminated — were pinned up alongside a few fading thank you cards, post-it notes and photographs, and a newspaper clipping taken four years before after we had fought and won a gruelling nine month battle to fend off the closure of the school. Now, almost unimaginably given the school's turbulent history and troubled context, we were on the cusp of being judged to be a school that was providing an ‘outstanding’ education for its students. I don't remember much about the ensuing discussion until my interlocutor — the inspector, a mathematician by trade — ended it with the words “OK, I think I have everything I need," before bringing up the lesson he had observed me teaching earlier in the day. This we both used as a proxy to just talk, unfettered as we now were now by the formality of the inspection: he from the need to gather evidence, me from the need not to mess everything up. So we subsequently proceeded to put the education world well and truly to rights and, unsurprisingly, the state of the UK's mathematics education in particular. The inspector told me about a paper he and a colleague had written — building on the 2004 Smith report — to argue that mathematics in the UK should not be a compulsory subject post-14 (Collins and Quigley, 2010), and I was, to put it mildly, flabbergasted, enough indeed to remember the conversation now, six years on, more than the conversation we had that sealed my school's 'outstanding' judgement. Whilst I adored the radicalness of the argument, and was sympathetic to the need to address the problem it was attempting to, I was not seduced by it, and disagreed on a number of levels — not least (and in short) because I felt that the proposal was a result of an underlying conflation of mathematical content with pedagogy. Philosophically the notion is not new, and continues to engage discussion today, Eugenia Cheng, for example, mathematician and author of a number of popular mathematics books, recently suggested that 'we should change what type of math is compulsory' for students at school (listen to her interview here). The difference now, however, is that even when advocating a non-compulsory post-14 mathematics education, for economic reasons or not, in doing so we cite the complicity of an unfit pedagogy: 'it would be better not to teach maths at all than teach it the way we currently do' (ibid.). What struck me most in my conversation with the Inspector, and what has endured professionally with me ever since, was the notion of mathematical maturity, and the latent pedagogical promise that comes from the assumed distinction (as made in the paper) from mathematical competence. Indeed, the fact that the 'twelve Indian 17 year olds' could handle the topics with mathematical maturity and competence not only illustrates this assumed difference, but more than hints, moreover, at the fact that they were able to do so precisely because of the relationship that existed between their mathematical maturity and competence. But surely, I surmised, the more mathematically competent you get the more mathematically mature you get, and vice-versa? It's a chicken and egg situation and the answer is yes. It is mathematical competency we ultimately want of course, but isn't this competency defined in a not insignificant part by a student's mathematical maturity? Isn't the relationship between the two self-referencing? Mathematical maturity is not simply a function of expectation in the sense of the level of mathematics a student is exposed to. It is a function to boot of the manner in which we expose students to the mathematics, the manner in which we get students to think about the mathematics, the manner through which we teach the mathematics. It is as much a function, thus, of the how we teach as it is of the what we teach. Becoming mathematically mature may indeed be something that only the mathematically ambitious and technically competent are able, ultimately, to attain, but far from there being anything wrong with trying to make all of our students mathematically mature, or more mathematically mature, the benefits to all of making the effort to do so is, I contend, a pedagogical imperative. Mathematical maturity then, a phrase whose meaning appears to have been first considered in any depth by Lynn Arthur Steen in 1983, and which has had surprisingly little pedagogical exposure since, is not, in and of itself, the esoteric, abstruse or even semantic notion it may initially appear. Moreover, it is a notion that I contend contains real regenerative potential for the teaching of mathematics — not least by virtue of the very effort we would need to make to get our collective heads around it — both pedagogically, and in terms of our curricula. Whilst mathematical maturity may not have had the pedagogical attention I am suggesting it deserves, making it thus appear a somewhat ill-defined concept (as shown by this reddit discussion about what mathematical maturity actually is), it nevertheless endures grail-like to the budding mathematician (as shown by this reddit discussion about how best to go about developing it). It is indeed telling that we find the notion loitering most — and most menacingly — amongst the prerequisite requirements of a multitude of undergraduate and postgraduate courses. The University of Oxford's course on Computational Learning Theory, for example, just one of many, states bluntly, almost colloquially even, that '[t]his is an advanced course requiring a high level of mathematical maturity [my emphasis]'. Even before we consider what it actually means to be mathematically mature, then, we uncontroversially sense that the mathematician must be. But we sense just as keenly that whilst it is possible for someone to be mathematically mature without being a mathematician, their level of mathematical competency must still be fairly advanced. Wikipedia's entry on mathematical maturity alone is revealing insofar as it exposes the difficulty in reconciling what mathematical maturity is with how you get it, surmising it as 'a mixture of mathematical experience and insight that cannot be directly taught', before unsatisfyingly reducing it to coming simply from 'repeated exposure to mathematical concepts.' Steen (op cit., p100) framed it more carefully, though not too differently, when he cited the two traditional marks of mathematical maturity as 'the ability to bring experience and reason to bear on the solution of new problems', firstly through an 'ability to abstract, to glean the essential structure from a complex situation,' and secondly through an 'ability to synthesize, to create new ideas by effective use of old ones.' The mathematically mature, he goes on, have 'technical, formal competence', but they also have a 'sophisticated [my emphasis], meaning-filled understanding of the relations of mathematics to the world around it that emerges' (ibid., p101). Being mathematically mature would thus seem to mean having reached a certain level of technical competency in mathematics, as well as having developed a certain behavioural, attitudinal, and cognitive disposition towards the discipline that is encouraging of continued growth. Whilst we can reach a relatively advanced level of technical mathematical competency, without whatever behavioural, attitudinal, and cognitive disposition it is that mathematical maturity must demand, without whatever frame of mind I guess it is we are talking about, our learning and growth and capacity to keep learning will inevitably plateau. So where then does this approach come from, how does it develop, and how, moreover, can we as teachers of mathematics to the mathematically adolescent, as it were, support, encourage and positively influence maturity? 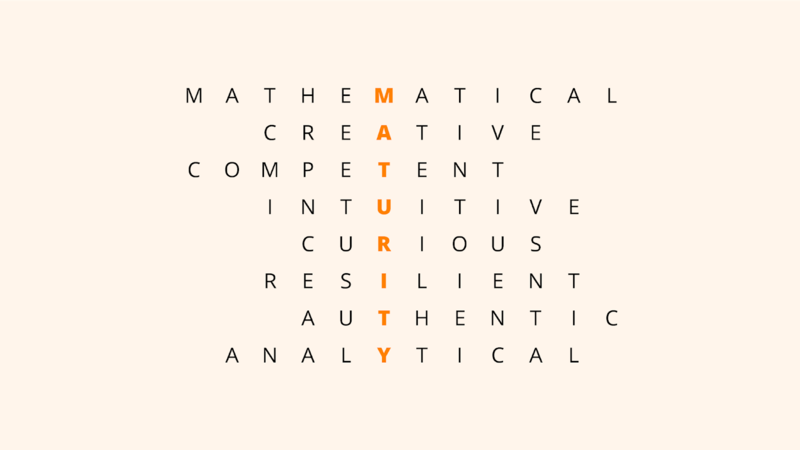 Whilst we can assume that, unless we teach a child prodigy, none of our students will reach mathematical maturity during our time with them, we need to recognise that they will be mathematically matur-ing, or not, as the case may be. And whether they are or are not, and whether they or we like it or not, is — to put it bluntly — down to us, to how we teach. It is in these formative years under our guidance (or spell, perhaps) that our students will develop the intellectual, emotional and I would argue aesthetic dispositions that will make their mathematical maturation more or less probable. Inasmuch, therefore, as we cannot directly teach our students to become mathematically mature, our teaching does, nonetheless, have the power to inhibit or promote their mathematical maturation. It is down to us to foster an influencing environment in which students are encouraged to be curious, intrigued and interested; an environment where an inclination to doubt, question and wonder is celebrated; where the pat on the back you get is not for trying, but for trying harder; and where making mistakes is OK because they make us think again, they make us learn. As Steen argued, 'maturity will emerge only if cultivated in an appropriate, supporting environment. Like a seed that can grow to maturity only in the right kind of soil — dry for some, damp for others — mathematical talent may well require an appropriate curriculum in which to mature' (ibid., p102). But if we take technical competency as a given, there is no single factor that we can isolate and exploit to make a student a mathematically maturing student. Such maturation is patently a complicated, messy and multivariate process, that also includes factors external to the influence we can have. Nevertheless, as teachers of mathematics we know the influence that we can have can be profound, in one way or the letsbehonest other — we experience the ups and downs of the promise and absence of learning in our students from our teaching in our classrooms every day. 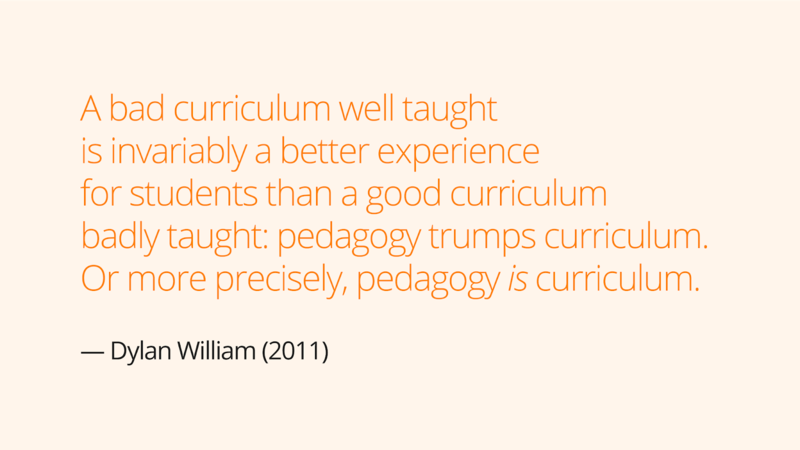 It is clear then that the mathematical competency and, indeed, maturity, that will 'emerge' from a curriculum is not solely dependent on how strong the curriculum is. A curriculum can only ever be conducive to — and cannot produce — mathematical maturation; its effectiveness moreover is a function of the pedagogy associated with it. Any pedagogical deficit, so to speak, will invariably inhibit mathematical maturation — irrespective, to reiterate, of how conducive to maturation the curriculum is. In such a situation, even 'students with special mathematical aptitude leave [a course] with less mathematical maturity than when they entered' (ibid. p103). In a nutshell, therefore, if how we teach the curriculum is not 'appropriate', how strong the 'curriculum' is just does not matter, and in fact, moreover, makes no sense. 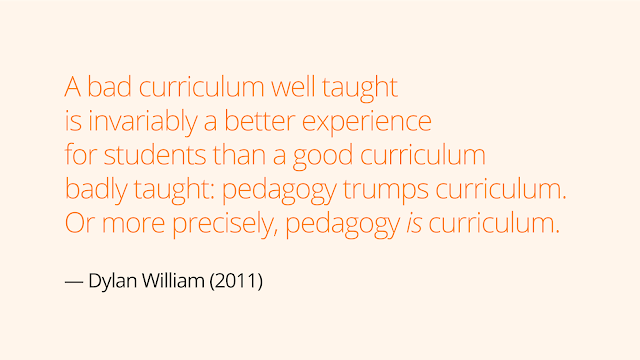 Pedagogy, thus, drives curriculum, or, in Dylan William's words, 'Pedagogy is curriculum'. 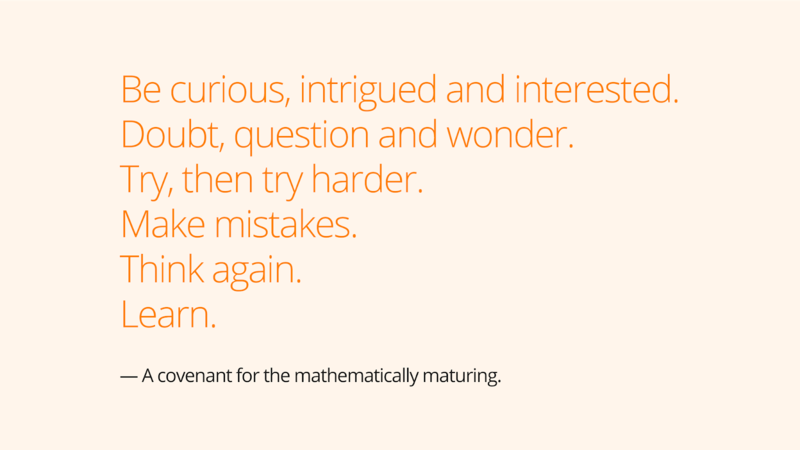 The mathematically maturing student is a student who is increasingly taking control of his/her own learning, who is increasingly self-correcting, and whose curiosity is becoming near habitual. They are learning how to harness their growing creativity within the constraints of the laws of mathematics, a 'game', as Richard Feynman put it, of 'imagination in a tight straight jacket.' Being mathematically mature is therefore, at its very core, about making meaning. It is about independence and authenticity of thought, of choosing what direction to think in, and of deciding whether or not that direction is taking you to the right place. But to expect our students to mathematically mature by virtue of them doing mathematics alone is at best a pedagogical pipe dream, and at worst inhibitively presumptuous. 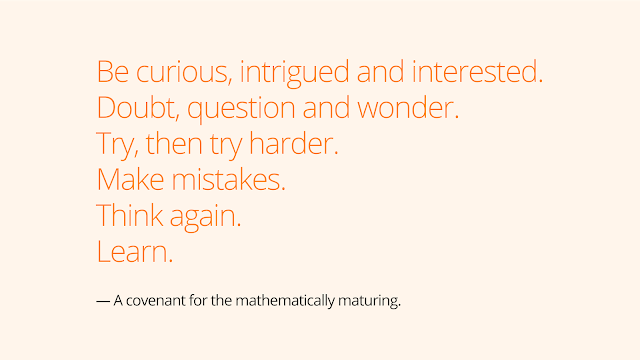 To mathematically mature, our students need our guidance, our knowledge, our example. Guiding our students towards mathematical maturity, however, is about more than simply adopting the pedagogical stance of what Carey notes to be that of the 'top down "progressives"... who want children to think independently rather than practice procedures by rote,' as advocated by their so-called 'bottom down "conservative"' counterparts (2014, p165, cf. this illuminating 'open letter' to Carey from 'Math with bad drawings'). Recall, indeed, is important to the development of students' mathematical maturity, embedded as it by definition would be by a depth of 'first principle' understanding. As the National Centre for Excellence in the Teaching of Mathematics (NCETM) put it, when outlining 'The Essence of Maths Teaching for Mastery', it is important that 'key facts [are] learnt to automaticity to avoid cognitive overload in the working memory and enable pupils to focus on new concepts' (cf. David Guerin's blog post about deeper learning, and the distinction between learning by delivery and learning by discovery). But teaching for mathematical maturity is not some kind of pedagogical pick 'n mix either. Whilst, for example, and on the face of it, there may be parallels to some with the Shanghainese Singaporean so-called ‘mastery’ approach to the teaching of mathematics, there are some important and distinct differences with an approach to teaching and learning that emerges from an underlying concern with students’ mathematical maturation. Take the 'Mathematics Mastery' programme, for example, which aims — as outlined by the Education Endowment Foundation (EEF) — to 'deepen pupils’ conceptual understanding of key mathematical concepts[, where, ] compared to traditional curricula, fewer topics are covered in more depth and greater emphasis is placed on problem solving and on encouraging mathematical thinking.' (See here for NCETM information on everything 'Mastery.') These aims are anything but pedagogically incompatible with mathematical maturation, but to help a student mathematically mature is more than helping them 'master' (or tame, perhaps) the mathematics, it is more perspectival than that. And, moreover, by making mathematical maturity our business we have the potential to reconcile the issues associated by some with the ‘mastery’ approach, or rather, the issues that come from the many (mis)interpretations of the ‘mastery’ approach — such as the impact, for example, on curriculum time and design, and concerns about restricting more able young mathematicians (see, for example, Tim Dracup's post 'Maths Mastery: Evidence versus Spin' in his 'Gifted Phoenix' blog, and also the National Association of Mathematics Advisers' 'Five Myths of Mastery in Mathematics'). An intellectually honest and creative approach to problem solving. Perseverance and persistence in the face of difficulty. Resilience and retrospection in the face of error, frustration and disappointment. Fearlessness, insight and intuition in the face of complexity and unfamiliarity. This is brought into no sharper relief than when considering the lot of our mathematically more able students. Whilst mathematical maturity is a default aspiration that I argue we should hold for all of our students, there is a danger that those monikored the 'more able', those most likely in other words to reach mathematical maturity, are also the very students whose mathematical maturation is most at risk. Are they achieving highly in spite of having little mathematical maturity (because of how we teach the mathematics), or are they achieving highly because of their mathematically maturing approach? We should not assume that the high-achieving students under our care are maturing mathematically by virtue of the very fact that they are achieving highly: achieving high grades at GCSE and maturing mathematically are not necessarily complementary. Highly achieving students will seem to grasp concepts more rapidly — possibly from a 'fluency illusion' that they and/or their teacher holds (cf. Carey, op cit., pp82-83), or a 'curse of knowledge' (Birch, et al., 2017) — and without our guidance will have an eagerness to quickly 'move on', perhaps too quickly, away from depth and into mere mathematical skirmishes that may actually inhibit their maturation — with inevitable consequences further down the line. I would indeed go as far as to lay a not insignificant portion of the blame for what is regarded by many to be the 'problematic' transition from GCSE mathematics to employment, A-level and undergraduate courses (cf. Rushton and Wilson 2014, Kyriacou and Goulding 2006), firmly at the feet of mathematical immaturity — or rather, at the feet of an unconcerned pedagogy that reinforces and perpetuates such — particularly for our more mathematically competent students. Learns more from a 'first principle' style understanding, rather than memorization. Volunteers good, valid — and sometimes unexpected — questions. Tunes out the noise to expose key ideas, or missing but required detail. Analyses and reflects on mistakes, rather than being fazed by them. Recognises when gaps in knowledge restricts their own capacity to solve a problem. Estimates intuitively, and appropriately, perturbing data to solve problems. 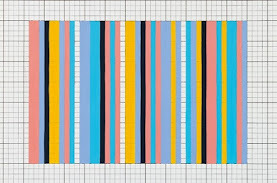 Perceives pattern and applies the principles of symmetry across the disciplines. Communicates mathematically, confidently, using notation correctly. Sees opportunities for other mathematics generated by a problem. Is inclined and has the growing capacity to mathematize situations; and generalise. 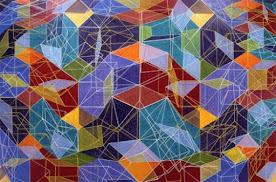 Moves between the disciplines, particularly the geometrical and analytical. Recognises a proof as a proof, and when a solution masquerades as a proof. Detects and avoids sloppy, lazy reasoning. 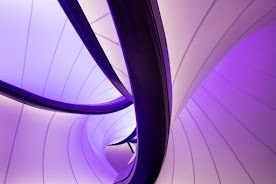 Has an aesthetic appreciation, appreciates elegance in solutions or proofs. Is increasingly comfortable handling abstract ideas. Framing our own work as teachers of mathematics in the context of the development of mathematical maturity — aiming, in other words, to help our students become mathematically maturing students — whether we can (or need to) agree on a precise definition or set of characteristics or not, can be transformative, both in terms of our own teaching and thus in terms of our students' experience of mathematics. Rather than aiming solely for the high exam grades we obviously and rightly crave for the students under our care, why don't we aim for something higher, with an unashamedly more purist outlook? 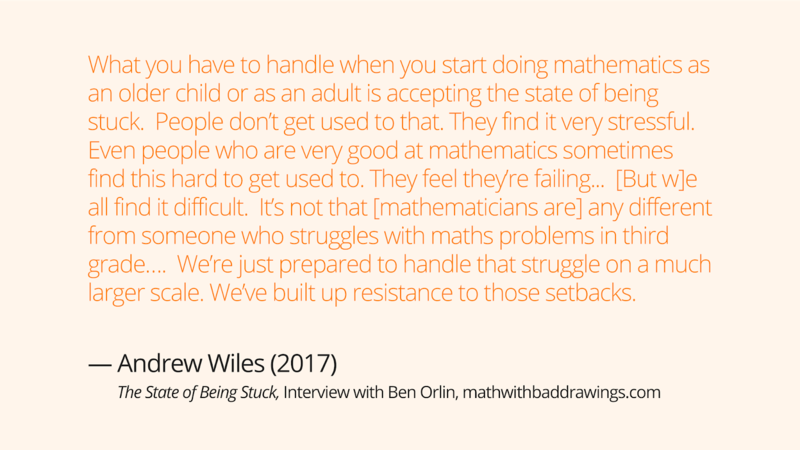 Why don't we aim for our students to achieve their high exam grades through a mathematically mature (or maturing) approach? Indeed, irrespective of the overriding pedagogical imperative, given the recent, profound qualification and curriculum reforms, there is a probabilistic imperative — namely, that is, that the likelihood of students achieving high examination grades today will improve if we ground our teaching in a concern for mathematical maturity. Birch, S.A.J., Brosseau-Liard, P.E., Haddock, T., Ghrear, S.E. (2017). 'A ‘curse of knowledge’ in the absence of knowledge? People misattribute fluency when judging how common knowledge is among their peers', Cognition. Vol. 166, Summer 2017, pp447-458. Carey, B. (2014). How We Learn. Random House. Chakanetsa, K. (Presenter). (2017, July 9). Maths Is Fun [Radio programme]. In Khan, M. (Producer), The Conversation. London: BBC World Service. Collins, J D and Quigley, M (2010). 'Future curriculum needs ‒ The mathematics fallacy.' Paper for the 14th World Congress for Comparative Education Societies, Bogazici University, Istanbul, Turkey, 14th - 18th June. Kyriacou, C. and Goulding, M. (2006). 'Mathematics education: A systematic review of strategies to raise pupils’ motivational effort in Key Stage 4 Mathematics.' Review conducted by the Mathematics Education Review Group. EPPI-Centre, London: Institute of Education. Rushton, N. and Wilson, F. (2014). 'Teachers’ and employers’ views on the transition from GCSE mathematics to A-level mathematics or employment.' Paper presented at the British Educational Research Association conference, London, September 2014. Smith, A. (2004). 'Making Mathematics Count – Report of Professor Adrian Smith’s Inquiry into Post-14 Mathematics Education', The Stationery Office Ltd.
Steen, L.A. (1983). 'Developing Mathematical Maturity', The Future of College Mathematics, pp 99-110. William, D. (2011). Embedded Formative Assessment, Bloomington, IN: Solution Free Press, p19.